This product is non-toxic and flame retardant. sealed and stored in dry place. In the production process ,PEG can improve the plasticity and release the drug tablets. High molecular weight PEG (PEG4000 and PEG6000) is useful adhesives to manufacture tablets. PEG allows the surface of tablets shiny and smooth, so it not easy to damage. 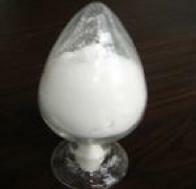 Our company is specialized exporter, manufacturer and supplier of polyethylene glycol4000 in China.